We are able to host “plein aire” art sessions thanks to the the Active in Parks Take it Outside grant we received. Not only has it enabled our group of artists to work in the fresh air, and be inspired by their natural surroundings, but it has also helped the group engaged more directly with the local community. We have extended an invitation to all community members to come and join in! 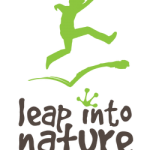 The ‘Take it Outside’ grant for Leap into Nature has been absolutely invaluable to the running of our fortnightly sessions and engaging kids with nature. It has also assisted in the progression of Leap into Nature’s environmental education programs for kindergartens and schools. In particular, our pre-school age program which we have recently launched: “Bug Detectives”. With the help of the generous contribution from the Active in Parks Take it Outside grant towards our Outdoor Education and Community Engagement Program, we are delighted to be officially launching our Volcanic Education Centre. Thank you again for the wonderful support we have received from People and Parks Foundation’s Active in Parks program, we look forward to working with together into the future to help connect people with nature!